There are a lot of sketchbooks and various types of notebooks out there. But a composition book doesn’t seem to scream “art supply”. The binding is great but they’re obviously meant for writing and not drawing. Luckily (kinda) there are math classes in school as well that need notebooks. And this is one of them, the Norcom no. 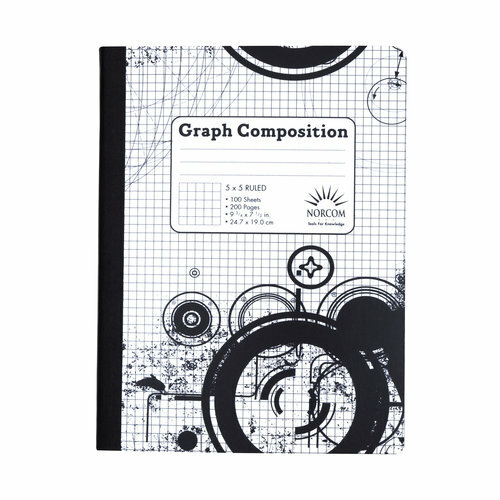 76002 graph composition book. The listed dimensions are nine and three quarters by seven and a half inches, with five squares to an inch. 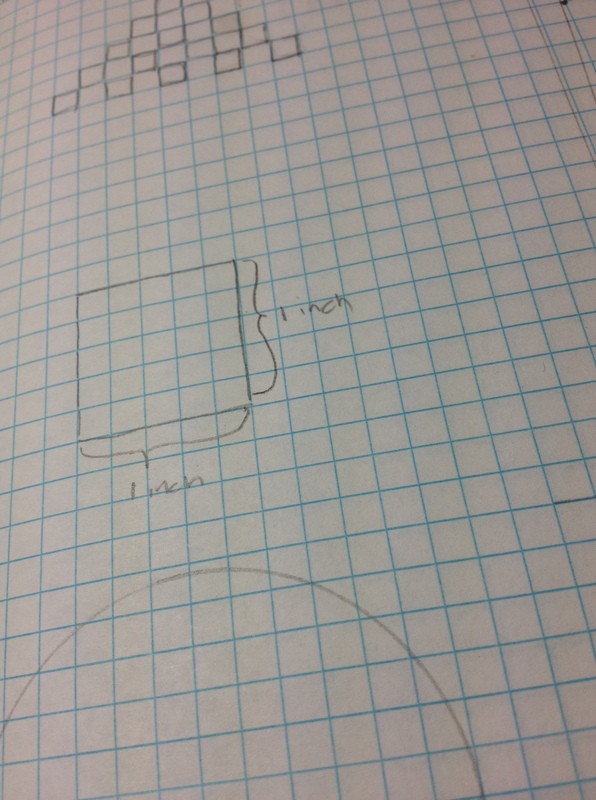 Each page has 49 by 36 squares so the given dimensions are mostly correct, but a little off. The book contains one hundred sheets, and some extra stuff on either inside cover. The paper itself is thin, but not overly so. Pencil and ink can be seen through but not enough to cause trouble in perceiving or creating what is on the page. Ink from pens does not bleed through, but brush inks will, and if a pen is heavily applied over an area bleeding is a very likely occurrence. The grid is helpful in the way grids are. It is printed light blue, and does not get in the way of writing, drawing, or graphing. The spine however is poorly made. The string binding is loose and the pages are almost free to move around. While the pages seem sturdy the spine may need duct tape for prolonged use. 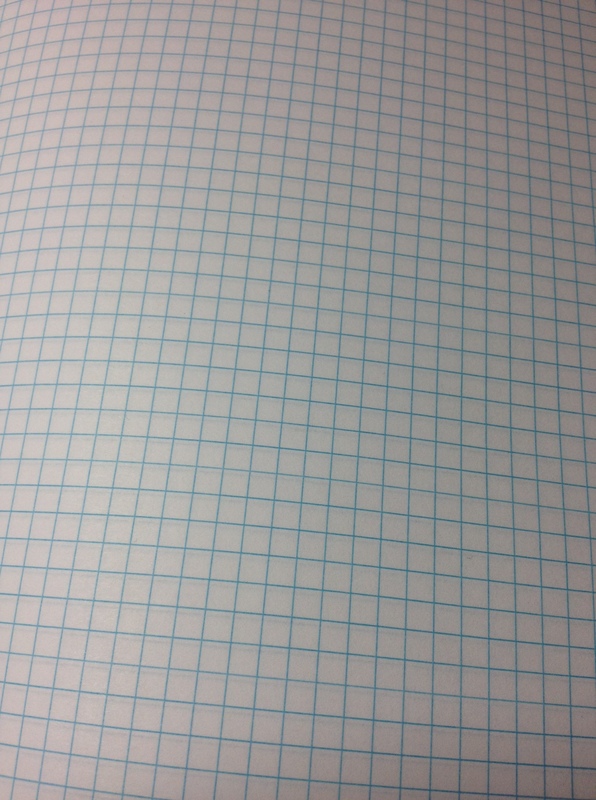 Graph paper is very useful and having it in an easily portable book with a “solid” binding is nice. The book is nice for what it is but there are many better (although more expensive) options out there.